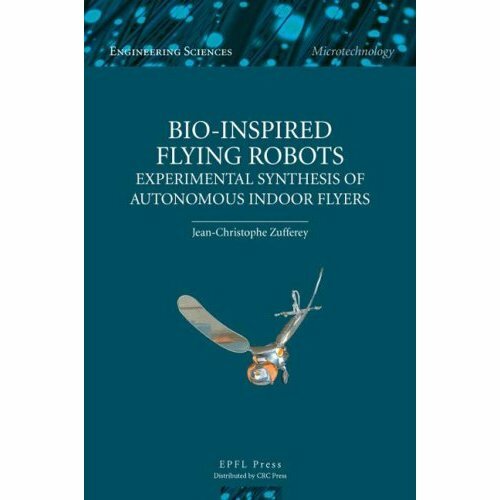 This book demonstrates how bio-inspiration can lead to fully autonomous flying robots without relying on external aids. Most existing aerial robots fly in open skies, far from obstacles, and rely on external beacons – mainly GPS – to localise and navigate. However, these robots are not able to fly at low altitude or in confined environments, and yet this poses absolutely no difficulty to insects. Indeed, flying insects display efficient flight control capabilities in complex environments despite their limited weight and relatively tiny brain size. From sensor suite to control strategies, the literature on flying insects is reviewed from an engineering perspective in order to extract useful principles that are then applied to the synthesis of artificial indoor flyers. Artificial evolution is also utilised to search for alternative control systems and behaviours that match the constraints of small flying robots. Specifically, the basic sensory modalities of insects, vision, gyroscopes and airflow sense, are applied to develop navigation controllers for indoor flying robots. These robots are capable of mapping sensor information onto actuator commands in real time to maintain altitude, stabilize the course and avoid obstacles. 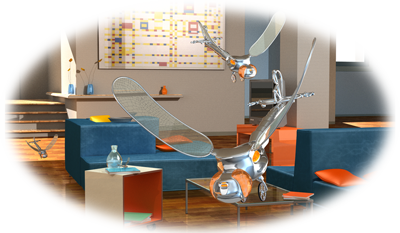 The most prominent result of this novel approach is a 10-gram microflyer capable of fully autonomous operation in an office-sized room using fly-inspired vision, inertial and airspeed sensors. This book is intended for all those interested in the autonomous robotics, working both in academic and industrial settings.